When your full name is Doreen Ann Mary Mannion, you do not need to wear green on Saint Patrick’s Day, or drink green beer for that matter. Being Irish is certainly not a “one day a year” event in my life. 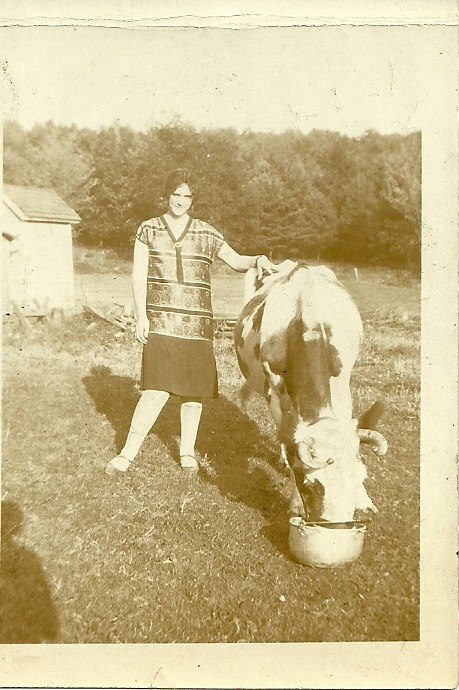 My father’s mother, my Nana, Anne Corcoran, was “off the boat” Irish; she arrived in the US alone at age 18 in 1924, straight from the family farm in County Longford. My father’s father, my Pop, Charles Mannion, was second generation American. Until recently, much to my Mom’s dismay, I rather thought of myself as Irish-American, and that’s it; I since have taken great delight in learning more about my other half – my French-Canadian half. Thomas Mannion was the son of Patrick Mannion & Margaret Grady, who were kicked off their land by the British and forced onto a coffin ship bound for North America in 1849 during an Gorta Mór, which took place between 1845 and 1852, and which you may mistakenly know as “The Potato Famine.” While it is true the potato crop failed, this was no famine. This was mass starvation. Patrick, Margaret, and Thomas were accompanied on the journey by Thomas’ siblings John, Patrick, Malachy, and Mary; and Margaret’s brothers Thomas and Leonard Peter, and their wives and children. The families were luckier than most. Not only did they survive the starvation efforts at home; they were not sold to the Caribbean as slaves and they all survived the journey across the Atlantic to Quebec. It is unknown when Patrick Gaffney & Anne Masterson came to the US. They had four daughters, including my great grandmother Annie, and a son, James. James was quite the character. Born in 1868, he found favor as a Tammany Hall politician as a young man and went on to become a prominent businessman and owner of the Boston Braves during the period they won the World Series as the “Miracle Braves” of 1914. 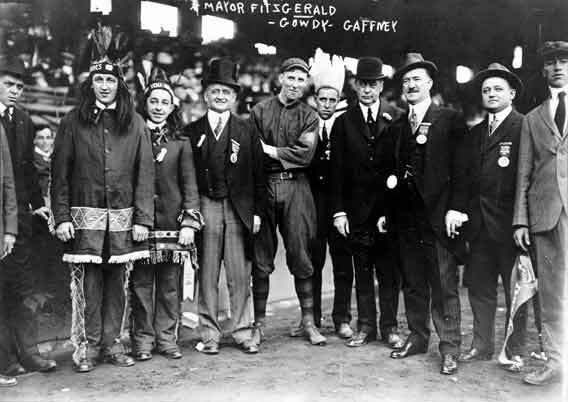 James E. Gaffney, fourth from the right. Gaffney was also involved in the impeachment of the governor of New York, William Sulzer, the only time in history the governor has been impeached. When Sulzer refused to do Tammany’s bidding and name Gaffney Superintendent of Public Highways, Tammany threatened to have his job and they carried through on their promise. I have been fascinated by my great, great uncle James Gaffney since I was a child and first viewed the large portrait of him hanging in my grandparent’s home. Gaffney had built the home and the one next to it on speculation, and when it did not sell, he gave it to his sister, Pop’s mother (I’m sure there were tax writeoffs even in those days, lol). Pop inherited the home from his mother. It never made much sense to me why the portrait hung there since he was not close to his sister, my great grandmother, or to Pop. I recently determined this portrait is the one referred to in several New York Times articles as being missing as it may have demonstrated that Gaffney had surgery to avoid identification and conviction on a number of serious charges concerning awarding of city contracts! No wonder he buried it at his sister’s house on Long Island! The Corcoran, Duffy, Leavy, and O’Reilly names are still well-known in their areas of origin. My Dad still has first cousins there and I have been fortunate to visit several times as well as host cousins here in the states. 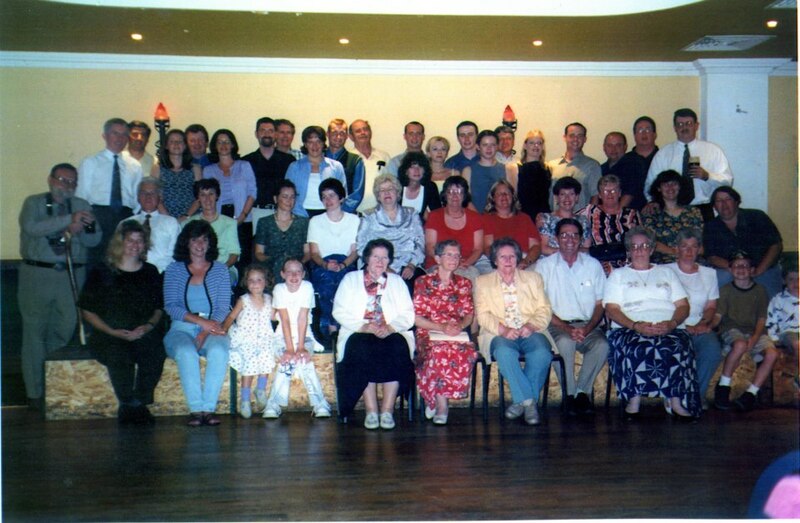 We had a great Corcoran family reunion there in 1999, pictured. So, no, I won’t be wearing green today. On a day when everyone is considered Irish, I appreciate the chance to go on a bit about my wee Irish family and my Wild Irish Roots! Thanks to my Mom for being the genealogist in the family and for all her years of research. 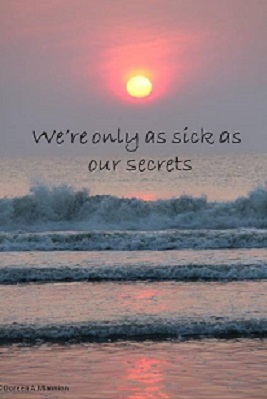 Prayers for all the family members who have passed since the family reunion. RIP.